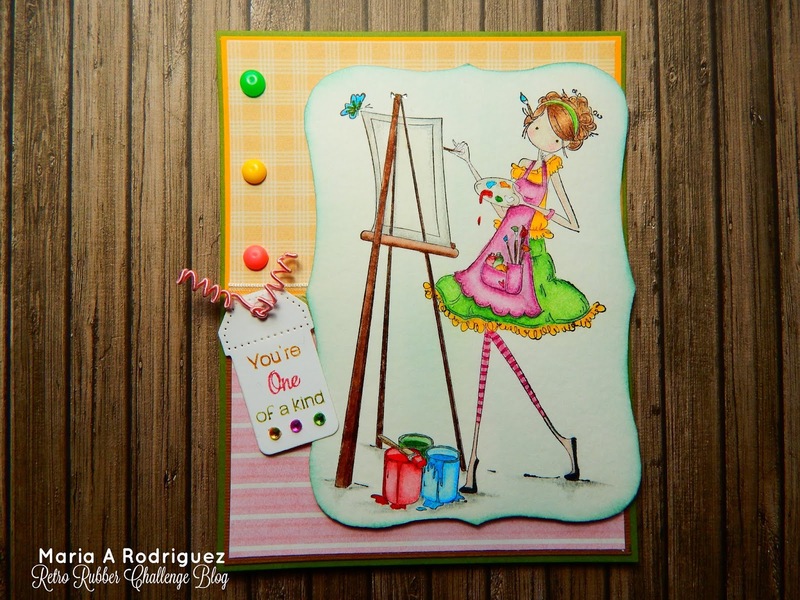 I love Abigals snazzy outfit all that wonderful colour makes for a wonderful card. I have a new love of Bellas since my friend shared with me. Mine are mostly critters 'cause she knows they're my thing, but I've always adored these skinny girls, too. How perfect this would be for Vanessa! You're very good at coloring with all mediums, Maria. Love how you mix and match your stamps. Meant to say I love those birds on the inside of your last card, too. I miss Stampin' Bella images . 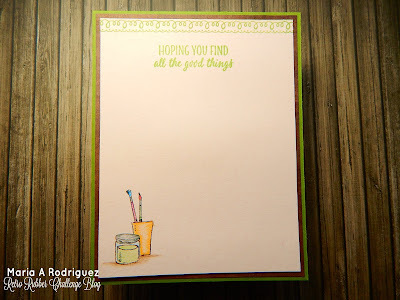 . . haven't seen in awhile and Iove the look (and your card! Oh so much fun! Love this lass and her stripy tights and paintbrush. I've never seen her before, so I'm enchanted by her. What a fun card! I love the combo of the image and the DSP. I always enjoy seeing the inside of your cards as well! Oh how cute & I love how you finished the inside!